Donato Salazar has no intention of forgiving the man responsible for his tragic past. Jilting his enemy's daughter will be the icing on the cake of his revenge, and beautiful Ella Sanderson is certainly sweet enough. Except Ella isn't the vacuous socialite he expected and she refuses to marry him! Her rebelliousness only makes Donato want her more, so he'll have to persuade her…touch by breath–taking touch. But as their fake wedding day approaches, one question weighs heavily on Donato's mind: to love, honour…and betray? Jacqueline's new boss is none other than her best–friend's older brother, hot–shot lawyer Blake Bennington. 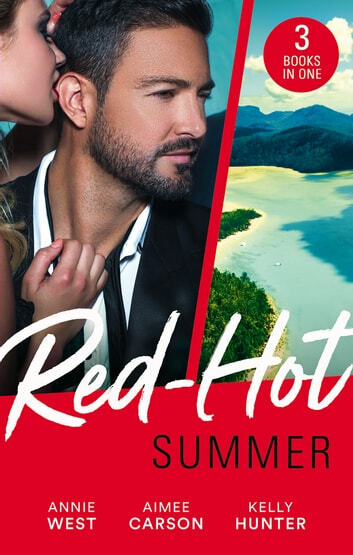 His control freakery and his need to be always, always right would normally send fiery, unconventional Jax running a mile – but even she has to admit he looks edible in a suit! After two years undercover, Special Operative Jared West feels like a stranger in his old life. Still, he hasn't lost his appreciation for a beautiful woman and Rowan Farrington is too arresting to be ignored.